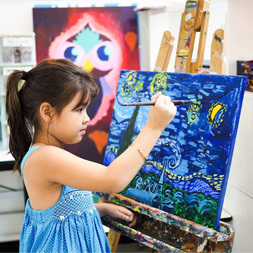 Artrageous is specifically placed to help young and mature emerging artists raise their skills and passions in Fine Art and Events. 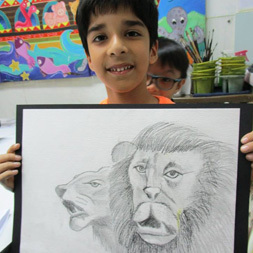 From raising the quality of Junior sketching and painting in Junior Picassos and Just Drawing, to hosting an exciting range of Holiday seasonal programs and short courses, Artrageous is indeed art for all. 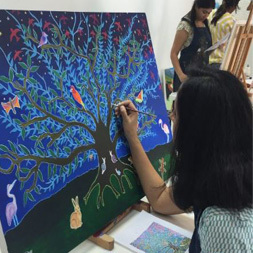 One of the key goals of Artrageous is to create inspiring Contemporary Arts events and programs that shine a light on young and mature emerging artists from around the world right here in Singapore. With an eye on platforms that raise the profile of our student artists, we have already launched many such engagements such as partnering with The Affordable Art Fair (Fall 2015 & Spring 2016 & upcoming Fall 2016) and The Singapore Contemporary Art Show (Jan 2016 & upcoming Jan 2017). Students of all ages exhibited paintings, sketches and sculptures amongst established and novice Professional Artists. Interested in partnering with us or having one of our signature programs offered at your school?